We’re always looking for ‘the ‘story.’ Everybody has one. One of the reoccurring things that kept coming up for Liz & Chris was her father. A few years ago, he suddenly passed away, but they have kept his memory alive and they honored him in so many ways on their big day! We kept seeing how their family is so important to both of them, and Liz’s mother gave a heartwarming and emotion packed speech (only a small part of it was while using her ‘teacher’s voice’)! 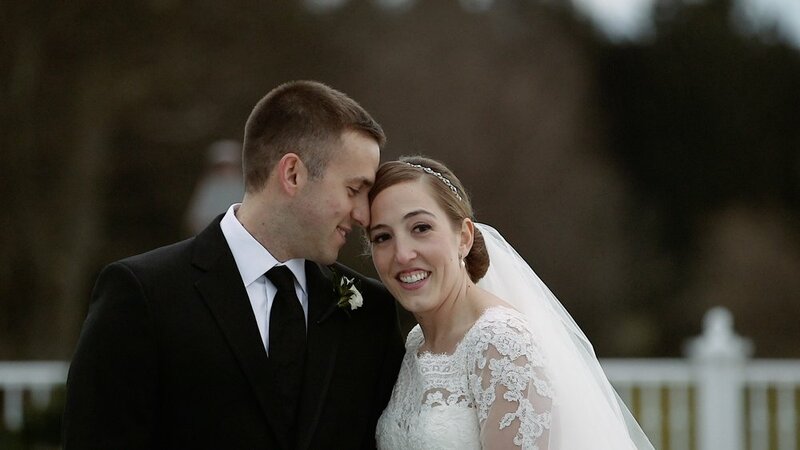 On December 29, Liz and Chris celebrated a day like no other! As she predicted, he teared up for their First Look, though he objected that his tears never hit the ground so it wasn’t really crying:) After their First Look and Ceremony, the two of them were announced into their Reception where all of their guests got to witness a First Dance that was nothing short of incredible! Her love of dancing and their chemistry together was obvious, and we couldn’t believe that this was after only 3 dance classes together! See their Feature Film below! David & Emily's First Dance was easily one of the best we've ever seen! Watching them spin each other around on the dance floor made us think of David's words in his card to Emily earlier that morning; 'I wish we could have a bird's eye view of the event, just you and I, just for a moment, with no-one else paying any attention to us. To look around and soak in the entire event, all of our family and friends gathered in one place to help us celebrate the start of our lives as a married couple.' Their relationship (and wedding) is one that we loved to get a chance to observe, and their friends will attest to it's authenticity. When Stacy & Servaaas were planning their wedding day at Wyndridge Farm for the beginning of April, they surely didnt imagine it would still feel like winter. In the days before their wedding, most of the weather forecasters were predicting 5"-8" of snow to fall on their wedding day. While the predictions of snow were completely mistaken, the air was too cold for an outdoor ceremony. The staff at Wyndridge did an amazing job at adapting and changing it up to accomodate the changes, and Stacy & Servaas' family and friends had an amazing day celebrating with these two! Sarah & Logan met at Franklin & Marshall College in Lancaster. Their story includes a smashed MacBook, and him impressing her parents by taking her to the Apple Store at Park City to have it fixed. 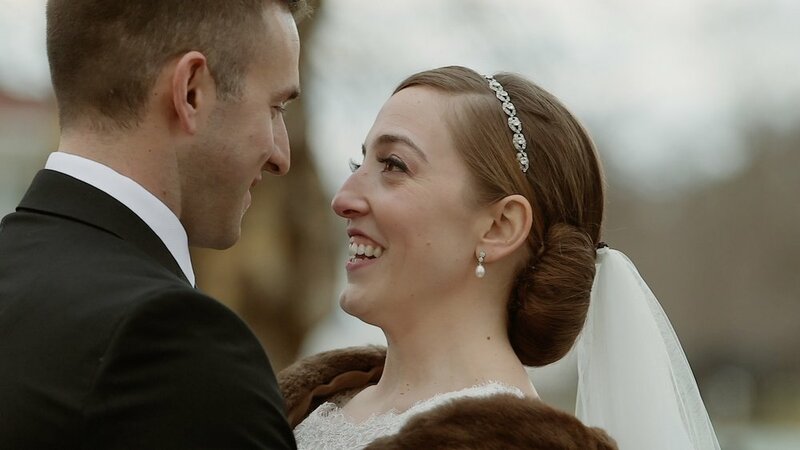 Watch their wedding film now to see her Father and sister Danielle tell their story so well! 'What are the odds that a girl from Beijing would end up marrying a boy from Hockessin Delaware? But that is in fact, what happened.' Matthew & Ivy met while in Grad School, and though she thought he was 'a really smart guy,' she didn't have romantic feelings for him as soon as he did for her. One thing led to another however, and on a gorgeous Autumn day in Wilmington Delaware, these two said 'I Do' in front of their friends and family, some of who had traveled from across the world in China to witness their beautiful wedding ceremony. "May you never take each other's love for granted, but always experience that wonder that exclaims 'Out of all this world has to offer, you have chosen me.' When life is done, may you be found then, as now, looking into each other's eyes, still thanking God for each other." We've been waiting a long time for this wedding day. We have loved getting to know these two ever since they booked with us. She is a Labor & Delivery nurse. He works in his family's construction business. Together, they are an amazing couple. When Dane was ready to ask Ashley to be his bride, he went above and beyond, with a day full of surprises including friends from out of town, a limo, shopping, salon, and a dinner celebration with family and friends. That night it ended with her dad walking her up some steps where Dane was waiting for her ready to ask the most important question he'd ever asked. Of course, she said yes. And here we are. We loved all the gorgeous details from Treasured Events and all the other vendors in this beautiful and emotional Farm at Eagles Ridge Wedding!